What Is The Best Air Conditioner For An Office? With an average summer temperature of 29.5 degrees, a working air conditioning system is a necessity for every Brisbane office. Whether your office consists of one room with three desks, or you have a multi-level office building to cool, Advanced Climate Solutions has the perfect air conditioning solution for you. Call us today on 07 3206 3542 for expert advice on the best air conditioner for your office. There are many benefits that come with installing an air conditioning system in your office including providing a comfortable work environment, improving worker productivity, boosting morale, and reducing office complaints. A quality air conditioning system can be used to control your office temperature all year round. This allows you to provide your employees with a comfortable environment to work in, whether it’s a scorching hot day or pouring down with rain. Additionally, creating a comfortable work environment will improve the mood and morale of your employees, and reduce office complaints. Not only can air conditioning boost the morale of your workers, it has also been proven to boost productivity. In fact, a study conducted by Cornell University* found that when temperatures were lowered to 20 degrees celsius employees made 44% more mistakes than when room temperature was optimal at 25 degrees celsius. This means that the money you spend to install your office air conditioner will quickly be made back in increased productivity, with the added bonus of happier and healthier employees. With the clear benefits of installing an air conditioner in your Brisbane office, the only question left to ask is: ‘which air conditioner is best’? The two most common types of air conditioners used in Australian offices are split system and ducted units. 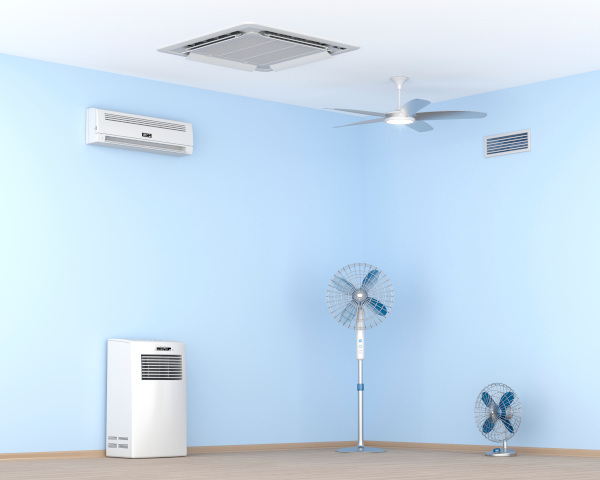 A split system air conditioner includes a wall mounted indoor unit as well as an outdoor unit, containing the noisier components such as the compressor. Split system air conditioners are ideal for cooling smaller spaces, however, multiple units as well as multi-split systems can be used to cool larger area. Ducted air conditioning is a popular choice for Brisbane offices as it is designed to control the temperature of both small and large spaces evenly, without creating hot or cold spots. As the name suggests, a ducted air conditioning system uses a network of ducts (usually located in the ceiling) to evenly distribute cool air throughout a number of rooms and offices. Ducted or Split System Air Conditioning? The best type of air conditioning for your office depends on your requirements. Is it a single storey or multi-level office? Will you require heating in the winter or just cooling? Is there enough space in the ceiling for ducts? Are you looking to cool a single room or an entire office building? If you’re not sure which air conditioning unit is best for your office call us today on 07 3206 3542 for expert advice. Regardless of your needs, Advanced Climate Solutions has the commercial air conditioning solution for you. 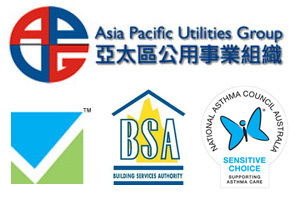 We offer quality air conditioning installations, servicing and repairs on a range of AC brands including Mitsubishi, Daikin, Actron, and more. Plus, our team of highly trained air conditioning technicians are on call 24/7 to provide emergency air conditioner repairs at any time. This means that whether you’re working late nights or weekends, you can rest assured that ACS will be there to keep your air conditioner running smoothly in the event of a breakdown. Call Advanced Climate Solutions on 07 3206 3542 for all of your air conditioning needs.